When I’m trying to use the “Any Getter” or the “Objectfield Getter” on a Relation in the Grid View I’m not getting the values stored in the specified fields. Instead I get the Object. What am I doing wrong here? this seems you have a many-to-many object relation. 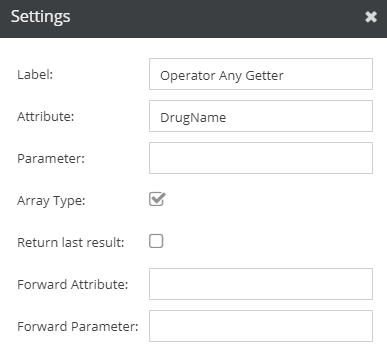 Try AnyGetter, set the “Attribute” to name of the desired field from linked objects, and check “Array Type”. This will show comma separated list. Thank you for the reply. Your suggestion was part of my problem. When using the array type setting I got empty fields and later found out, that the object attributes I wanted to fetch where inherited. Apparently the any getter can’t get inherited values. I solved it with a PHP Operator.